Schnelle unkomplizierte Kaufabwicklung, Sehr schönes, qualitativ hochwertiges Spiel incl. Befestigungsmaterial. 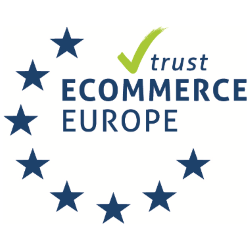 Trotz alledem recht preisintensiv - ich hoffe, die Kids haben lange Freude damit. 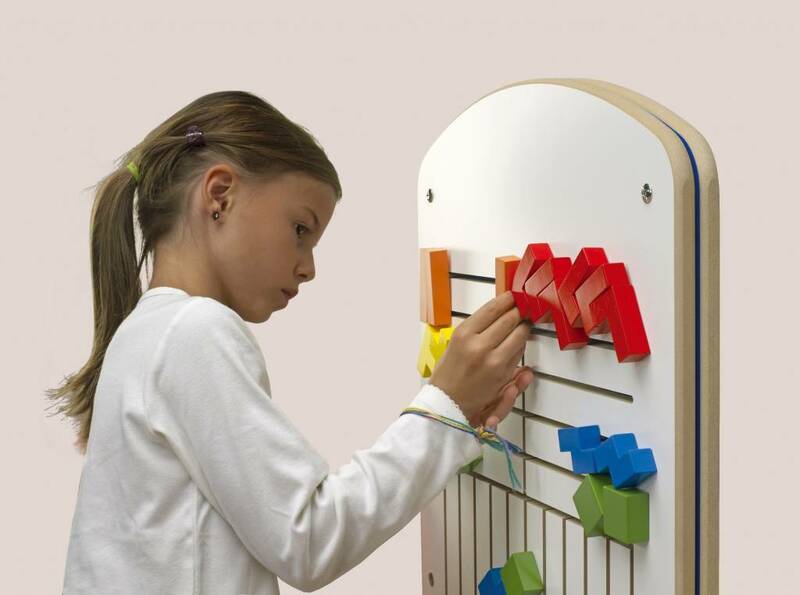 Are the childen in your kids corner or waiting room looking for some new challenges? 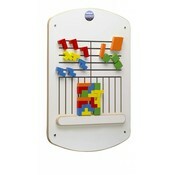 With this wall play system you provide both young and slightly older kids a great time-filler. The objective for each player is to position in turn his or her coloured elements in such a way that nowhere spaces between the elements arise. 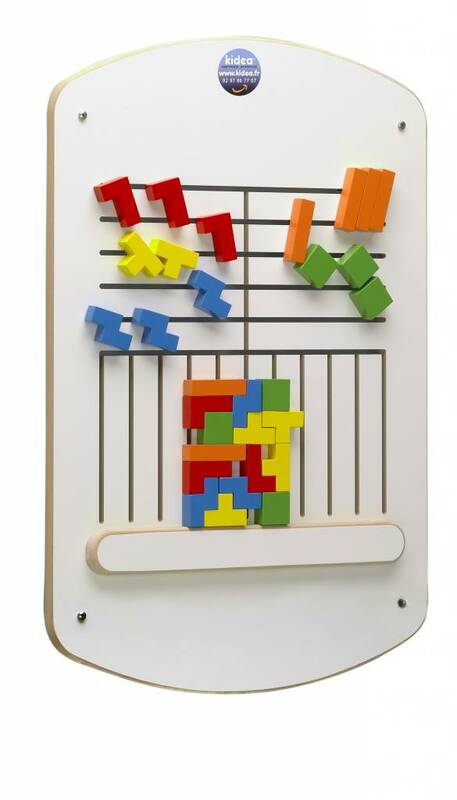 These 30 play elements come in 5 different shapes as well as 5 colours which implies that 1 to 5 kids can play together on this wall system. 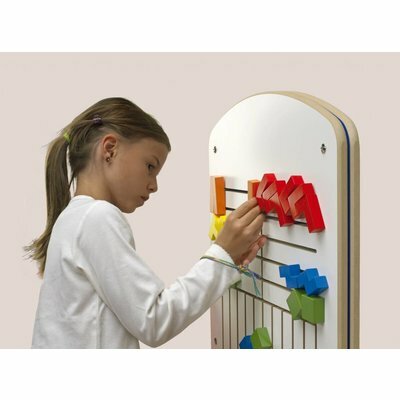 All elements are permanently attached to the play module which prevents things to go astray. Everthing remains tidy and safe. 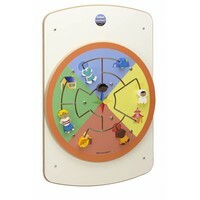 It goes without saying that children can come up on the spot with many other games and play forms. 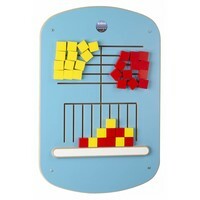 They can for instance create new silhouettes, patterns and shapes. 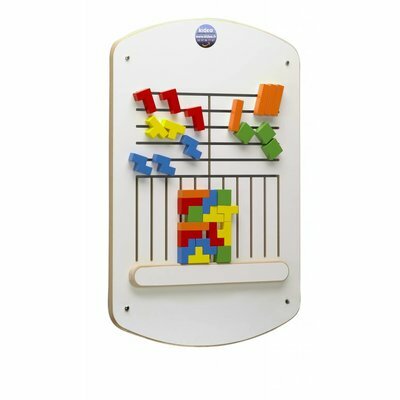 Everthing is possible on this versatile wall play system. Mooi muurpaneel, makkelijke montage en nooit meer losse blokken.